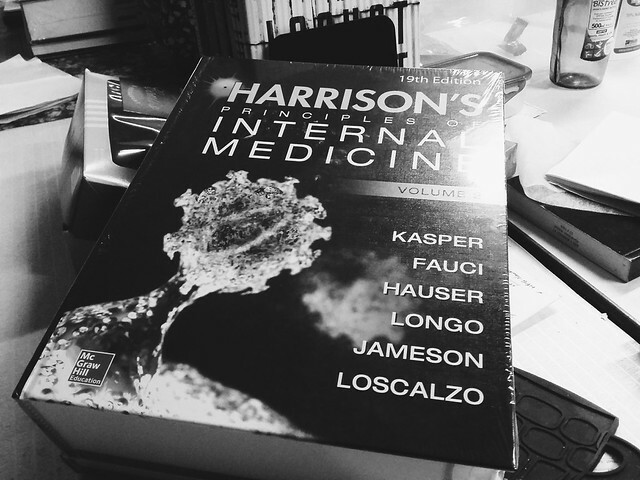 HERE'S the first personal investment for I had for my career: the new edition of Harrison's, the ultimate textbook in Internal Medicine, the source of most of our monthly exam questions, the reason why I am now Php 5,700 poorer. I was excited to bring it home, open it from its tight cellophane cocoon, and smell the commercial ink from its pages. The font is still Minion Pro. The design is a lot like the previous edition's. The layout remains the same, but the margins are smaller. Now I need to check out Minion Pro. Is it a good font for textbooks? It is. You can download it for free. After looking at the font some more, I think Palatino is fine. Although maybe it's a matter of getting used to Bookerly's thickness.